Welcome to the official website of Flipper's Skin Flix, located in Bridge City, Texas. We have some of the most talented artists in South East Texas. We can custom draw a design for you, you can bring your own design in, or you can choose from thousands of designs on our walls. Our skilled artists can do any style of work you prefer, as well as realistic portraits. We can also fix or cover old or poorly done tattoos. We also have one of the largest selections of body jewelry, and can custom order jewelry just for you. We have the reputation for being the cleanest studio in our area, and for always having the customers’ health and safety in mind. We are a member of the A.P.T. 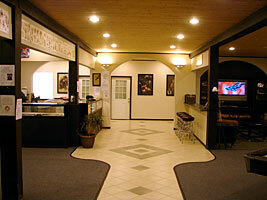 (Alliance of Professional Tattooists) and all of our artists are A.H.A. (American Heart Association) CPR Certified. 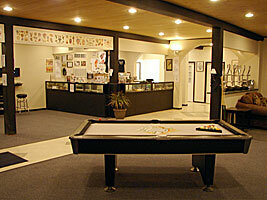 We are licensed by the Texas Department of Health for tattooing & body piercing. We practice hospital sterilization by use of a registered spore tested autoclave. All tattoo needles and piercing lances are single use only. All work areas are disinfected with an EPA approved Virocide and any non-single use equipment (ink bottles, spray bottles, tattoo machines, etc.) are covered in bags to prevent cross contamination from one client to another. We are proud here at Skin Flix to continue to strive at achieving and keeping the highest standards of clean, quality work. So take your time and look through our website, check out the artists portfolios and see for yourself why Flipper's Skin Flix is one of the most trusted studios in South East Texas. Feel free to contact us if you have any questions, and our friendly, sober staff will be happy to assist you in your next tattoo. CLICK HERE and check out the newspaper article on Flipper's Skin Flix. Videos from the "King of the Road Show"
Click play button to view. Tuesday - Saturday: 2 p.m. - 10 p.m.